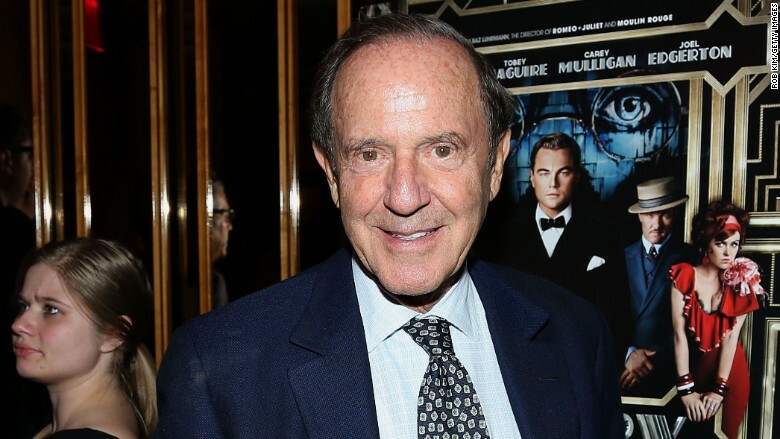 Mort Zuckerman has agreed to sell the New York Daily News to Tronc, the newspaper publisher previously known as Tribune. Tronc will combine the scrappy New York tabloid with its nine other daily newspapers that are based in cities like Chicago and Los Angeles. The deal was announced shortly after The New York Times broke the news of the impending sale on Monday night. In a sign of the perilous times for newspaper publishers, no cash is changing hands. Zuckerman is essentially giving the Daily News to Tronc, and in exchange, Tronc is assuming all of the paper's liabilities. The pension liabilities of the Daily News are believed to be in the tens of millions of dollars. Tronc will also take over the paper's printing plant in Jersey City, New Jersey. Zuckerman's business will still own the land where the plant is located, but Tronc will acquire a 49.9% interest in the property. Justin Dearborn, the CEO of Tronc, said in a Monday night statement that the company would work with the Daily News to "serve new audiences and marketers while delivering value for our shareholders." The plan involves expanding NYDailyNews.com and using the Daily News printing plant to produce Tronc's papers in Allentown, Pennsylvania and Hartford, Connecticut. Tronc has been trying to grow in several different directions. It recently tried and failed to buy the Chicago Sun-Times. The company's biggest publication is the Los Angeles Times. Dearborn appointed a new editor and a new publisher of the paper just two weeks ago. At the Daily News, editor in chief Arthur Browne was planning to retire, but Tronc said Monday that he has "agreed to stay until the end of 2017." He will be both the editor and publisher of the tabloid until then. The Daily News is a familiar sight on newsstands in New York and, thanks to its provocative covers, a familiar sight on social media far from the city. For decades the paper was owned by Tribune, but it has been owned by Zuckerman, a real estate investor, since 1993. Zuckerman, now 80, looked to sell the paper in 2015, but ultimately decided not to sell at that time. He has faced many of the same publishing challenges as many other newspapers: dwindling sales in print amid a worldwide shift to digital formats. The Daily News has invested in its web site, but is still primarily known for its tabloid front page, print features and sports coverage. The Daily News's main newsstand rival, the New York Post, is owned by Rupert Murdoch. An internal memo on Monday night from Zuckerman's co-publisher Eric J. Gertler celebrated the Daily News as an iconic New York City institution. "For the newspaper that once emblazoned the immortal words 'Ford to City: Drop Dead' across its front page, I can only imagine today's cover reading 'Mort to News: Carry On'!" Gertler wrote.